As we look into 2018, we’re excited about richer and more textural tones. Minimalism is still a linchpin of interior design, but this year, we’re looking at a less structured look. The future is fluid, with many of the top color brands elevating “neutral” to include softer greens, earthy browns, blush pinks, vibrant purples, and rich aquatic blue hues. In 2018, we’re embracing the home as a place of sanctuary in our busy, high-tech lives. Houseplants and plant-inspired shades are chic and trending upward (sage went up 170% as a search item on Pinterest last year; ELLE Decor calls sage the hottest color of 2018). And as we shift into the new year, we continue to seek more ways to incorporate natural elements into our lives in an authentic and bold way. 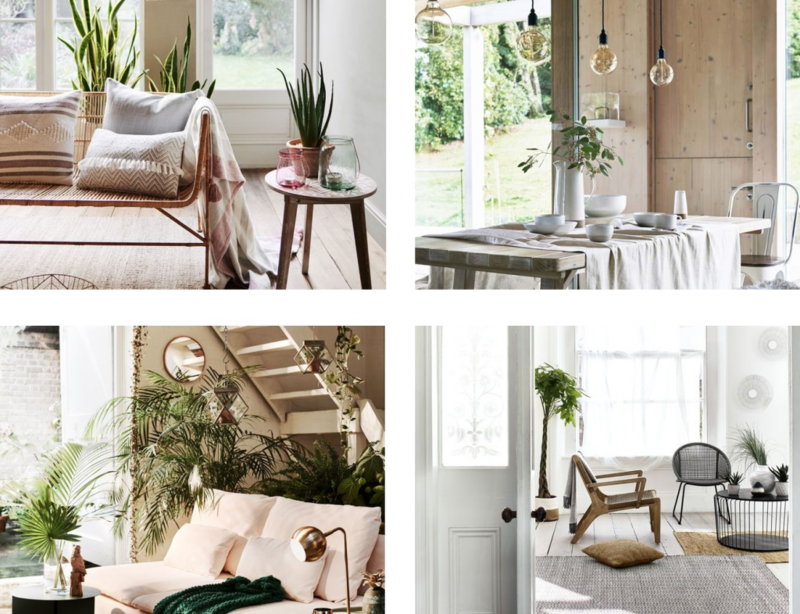 Four takes on modern rustic with houseplant accents; images originally by Sainsbury’s Home (top and bottom left), Next Home (top right), and Debenhams (bottom right). Images retrieved from Good Homes Magazine. This modern rustic look carries clear Scandinavian inspirations, with a hand-crafted aesthetic that marries urban living with cottage life. While traditional off-white paint colors are still in play, recent trends are towards soft and subtle pastels like the dusty olive and soft blush pink above are becoming more and more popular as substitutes for off-whites, as they add color and depth while still offering restraint. 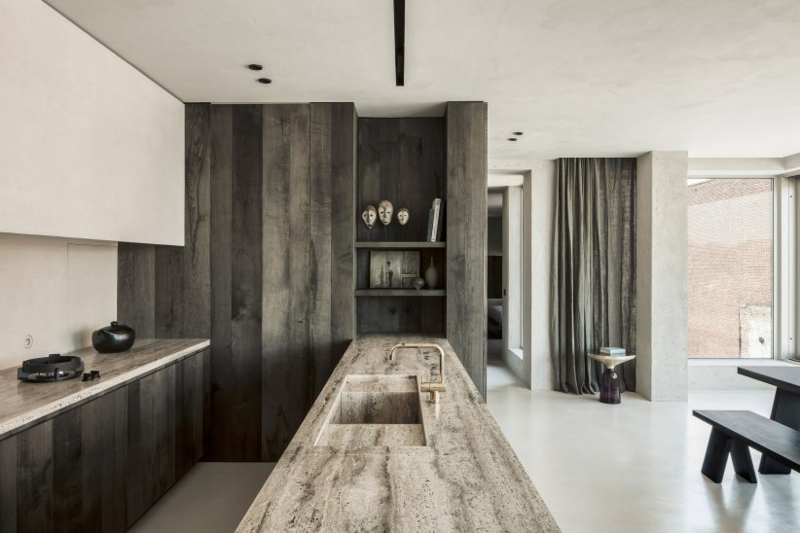 Modern rustic also embraces exposed building features, which are emphasized by the more muted palette rather than hidden away by other design elements. These nature-inspired pastels are matched by carefully-curated furnishing and decor selections, and particularly houseplants, hand-woven textiles, natural wood grain, artisanal dishware, natural sunlight, and plenty of seating. Modern rustic is very focused with texture and feel, which allows guests to be easily captivated. This style is one example of the overall shift towards a rugged but relaxed aesthetic that draws heavily upon natural colors and hand-crafted materials. 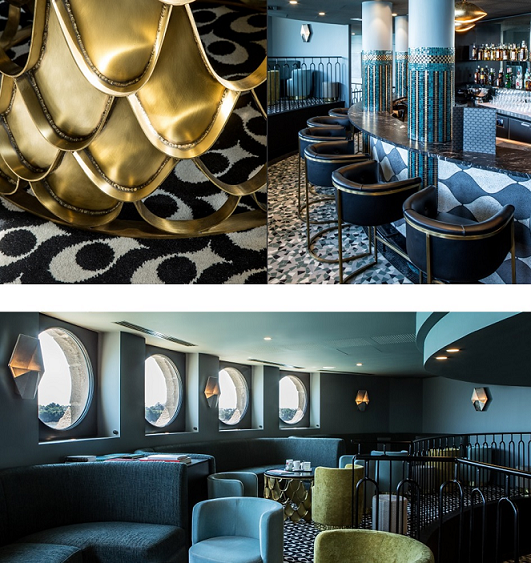 Nautical chic is the at-sea equivalent of modern rustic, an aesthetic that draws upon the growing popularity of navy blue as a “neutral” color in design and fashion. 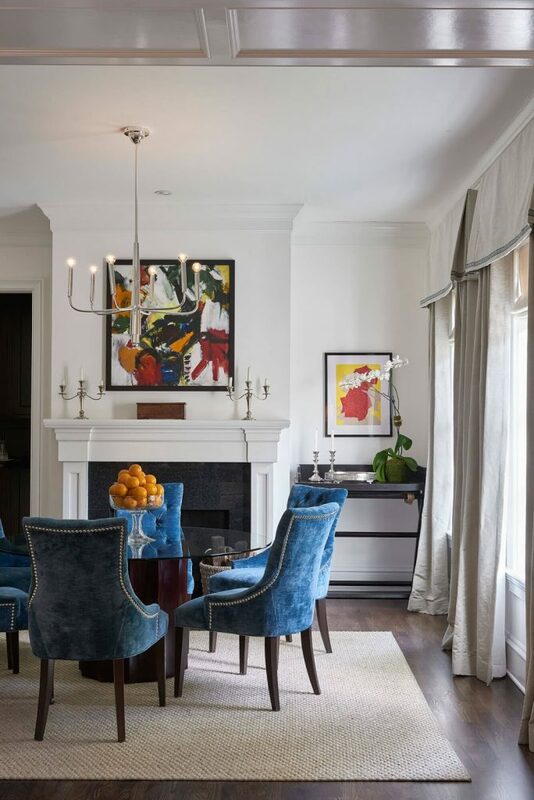 Because navy blue and cousins like midnight blue are so much darker than more traditional “neutral” colors, complementary hues can stand out exceptionally well. Blue is often contrasted with off-whites, sand, and beige, as well as greens and aquamarine tones. 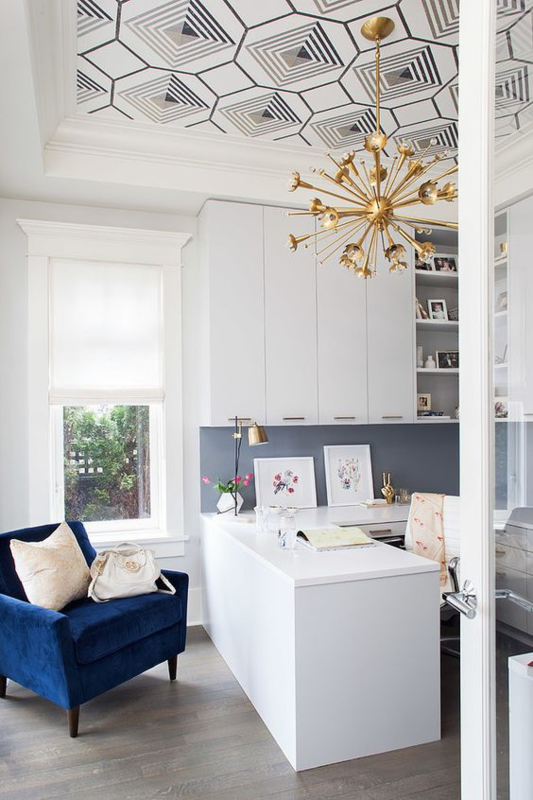 Judicious use of yellows and warm metallic tones like brass really pop against deep sea blues. Nautical chic can be subtle, relying on the interplay of blue hues to create the illusion of waves or underwater rays of light. Versatile and rich, yet still neutral enough to flirt with understatement, nautical chic can fit a serene and pensive bedroom or living space and can refresh and elevate a washroom or powder room. If the subtler take on nautical chic isn’t referential enough, you can always be more explicitly maritime. 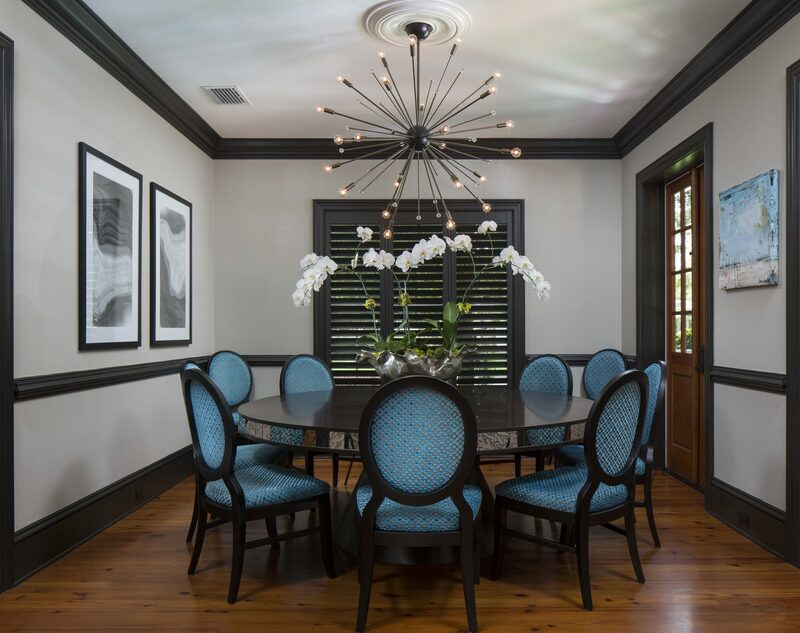 From movable decor like starfish and coral to prints with sea imagery like anchors, there are lots of easy options, making it a matter of personal taste. Another common feature of nautical chic is the porthole window. 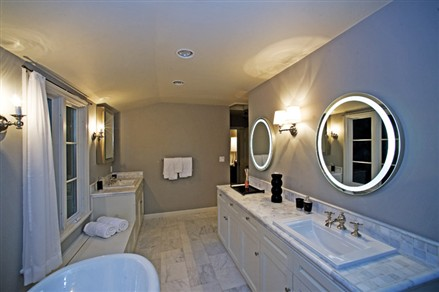 If major renovations, like porthole windows, are out of reach, you can readily achieve a similar effect with porthole mirrors instead, especially in nautically-inspired bathrooms. For those wishing to express themselves with more creatively bold and vibrant colors, shades of purple and indigo can offer the right middle ground between warm and cool color palettes. Pantone, the leading institute on color, has announced Ultra Violet as the color of 2018. As with each year, the colors chosen by Pantone are not merely to indicate ‘what’s trending’ but to also influence and reflect our modern lifestyles. Out of the subtlety of seaside shades, this galactic color can easily add a feeling of sophistication and grandeur to living spaces. 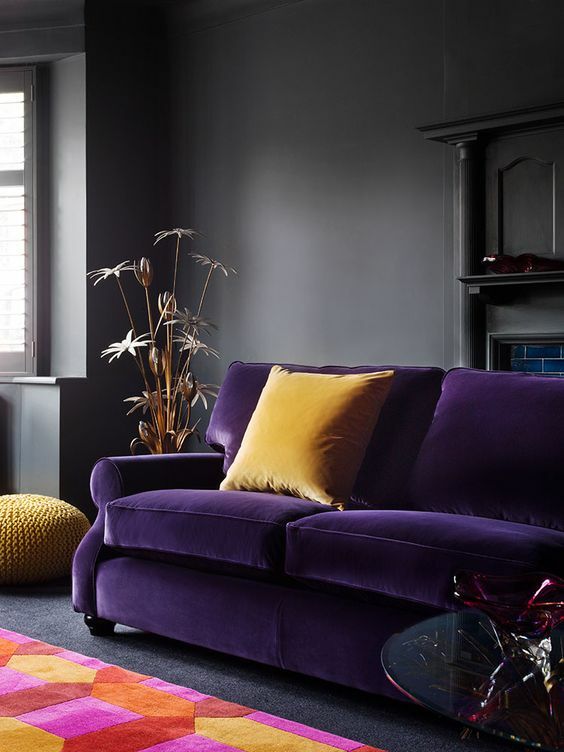 With velvet fabrics on the rise once again, consider adding velvet sofas or chairs into entertaining spaces for added allure and a feeling of luxury. Sabrina Soto opines that velvet blankets or throw pillows can introduce that same element of luxury in a space without velvet furniture. 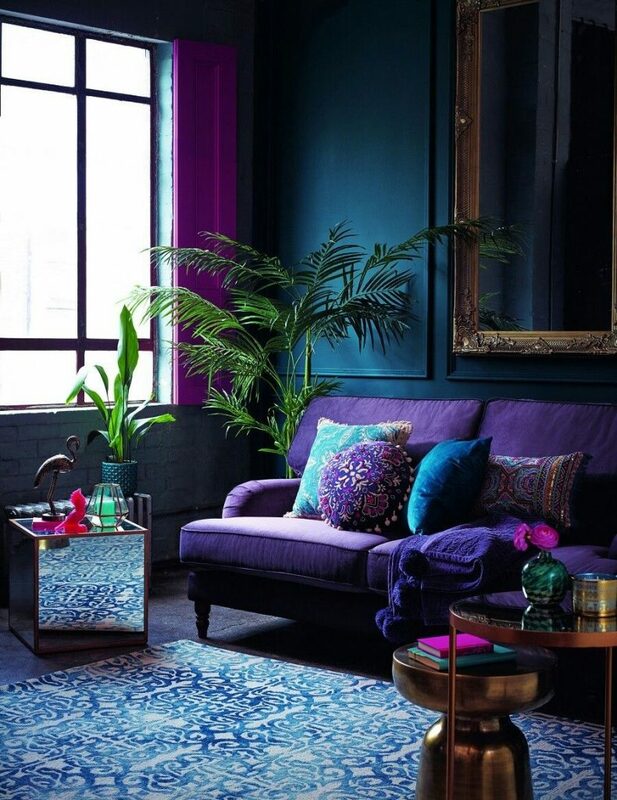 These bold purple hues can be toned down with baby blues or give a room a louder punch with bright reds and yellows. 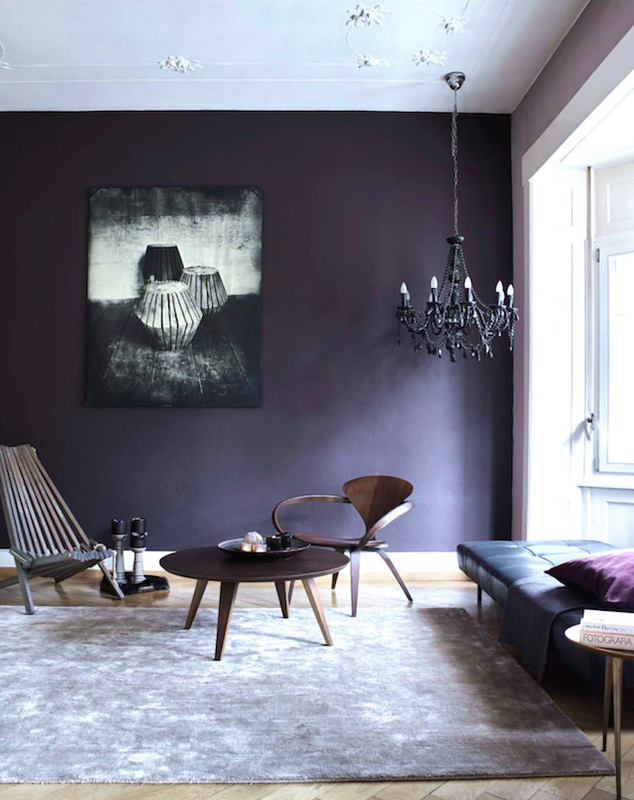 Rich and vibrant purples can also be powerful statement colors among a more minimal palette. The future is innovative. 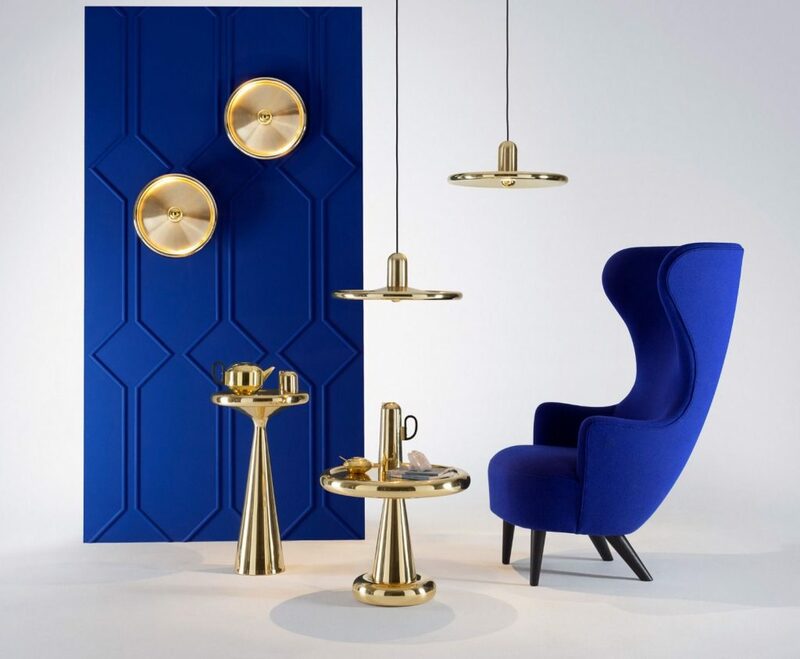 Last year, we began to see a lot of “commonplace” objects being taken to new lengths and crafts, from custom-made tiles, to intricate brass knobs, “statement ceilings” and hand-made lighting features. 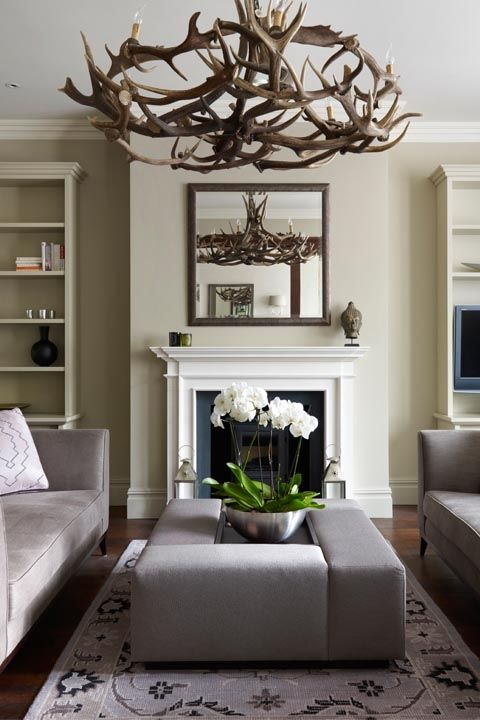 Timothy Corrigan tells Vogue that details are becoming more important to home design. 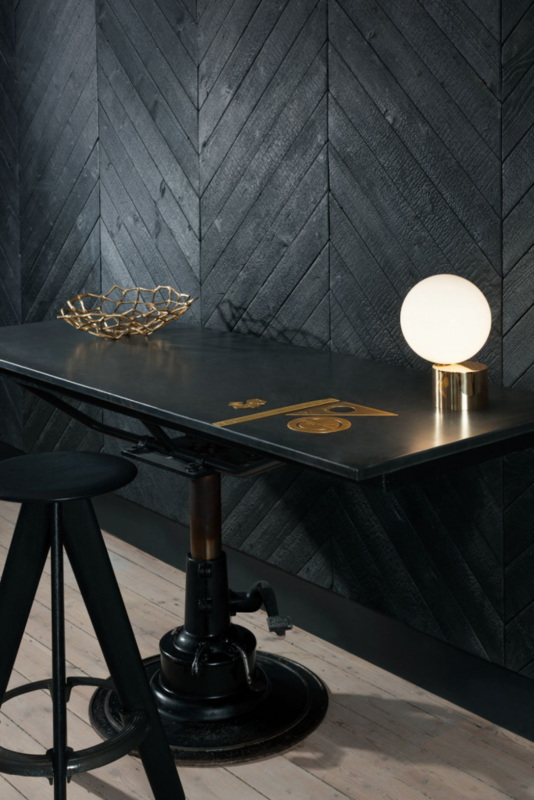 “Whether it is wood marquetry, tassel fringe, or intricate patterns, details are playing a more important role in all parts of interior design.” This is evident everywhere from color selections to hardware, furnishing, and tiling. Last year, we also saw the”breaking of the fifth wall” as ceilings transformed into statement pieces. 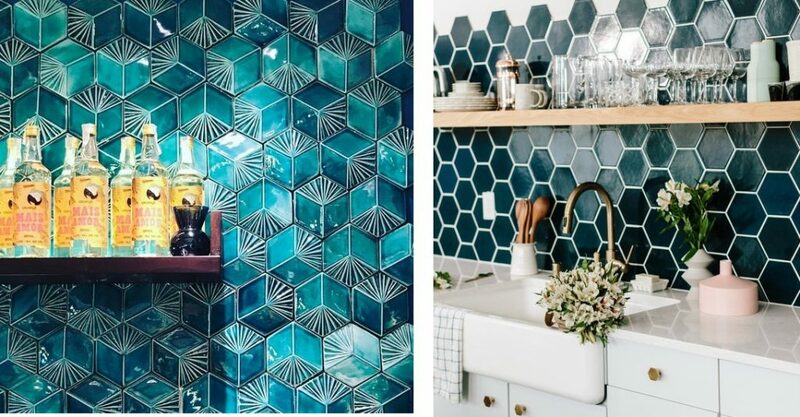 Geometric patterns and craft light fixtures are driving the 310% increase of “statement ceiling”-related traffic on Pinterest. 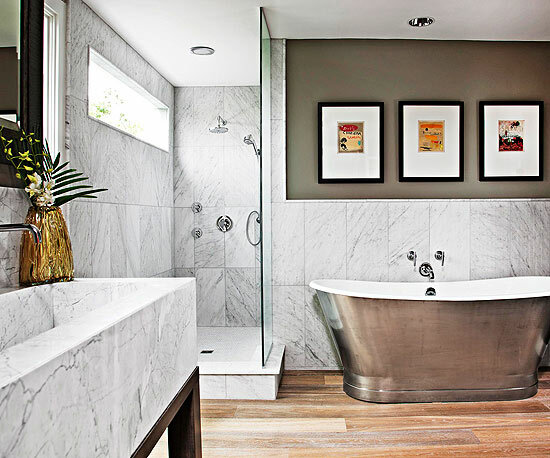 The common thread running through these current and upcoming trends is that home design is leaning toward comfort and relaxed environments without clutter or being overdone. We want our spaces to be distinctive and reflect our individual perspectives, and at the same time, we continue to use the timeless power of minimalism to bring out the best in our statement pieces.